Variants in three genes coding for components of the serotonergic system, the tryptophan hydroxylase 1 (TPH1) rs1799913, serotonin transporter (SLC6A4) 5-HTTLPR, and serotonin receptor 2A (HTR2A) rs6311, were evaluated for association with suicidal ideation (SI) and with recovery from SI in a psychiatric inpatient population. Five hundred and eighty-two adult inpatients, including 390 patients who had SI, collected from December 2012 to April 2016 were assessed. SI recovery, calculated as change in SI between the first two-week period after admission and weeks 5 and 6, was appraised for association with the three variants. In this preliminary study, both TPH1 and 5-HTTLPR genotypes were associated with recovery (TPH1: recessive model, increased recovery with AC genotype, P = 0.026; additive model, increased recovery with AC genotype, P = 0.037; 5-HTTLPR: recessive model, increased recovery with AC, P = 0.043). When patients with comorbid alcohol use disorder (AUD) were removed, given that TPH1 has been associated with alcoholism, the associations of those recovered from SI with TPH1 rs1799913 remained significant for the additive (increased recovery with AC, P = 0.045) and recessive (increased recovery with C-carriers, P = 0.008) models, and with 5-HTTLPR using the dominant model (increased recovery with S′S′, P = 0.016). In females, an association of SI recovery with TPH1 rs1799913 was found using a recessive model (increased recovery with C-carriers, P = 0.031), with 5-HTTLPR using additive (increased recovery with L′S′, P = 0.048) and recessive (increased recovery with S′S′, P = 0.042) models. Additionally, an association of SI with TPH1 rs1799913 was found in females using both additive (increased risk in AC, P = 0.033) and recessive (increased risk in C-carriers, P = 0.043) models, and with 5-HTTLPR using a recessive model (increased risk in S′S′, P = 0.030). 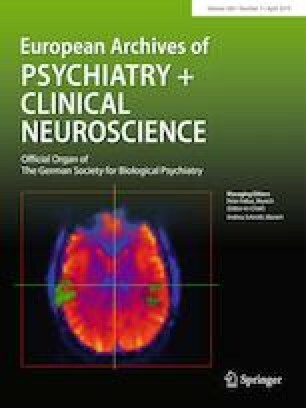 This study provides evidence that variation in the TPH1 and serotonin transporter genes play key roles in moderating recovery from SI during treatment in an inpatient psychiatric clinic. The online version of this article ( https://doi.org/10.1007/s00406-019-01009-w) contains supplementary material, which is available to authorized users. Supported by the McNair Medical Institute (MP), the Veteran Health Administration (VHA5I01CX000994), American Foundation for Suicide Prevention (SRG-2-125-14), and the Toomim Family Fund. This material is the result of work supported with resources and the use of facilities at the Michael E. DeBakey VA Medical Center, Houston, TX.